Celebrating the creativity of North Vancouver's arts and culture scene, these video vignettes provide a look at some of the unique public art works that can be found in our community. Learn about public art in North Vancouver and listen to artist Nathan Lee share his insights into the value and meaning of public art as well as the inspiration behind his installation Lost Cows of Lillooet. 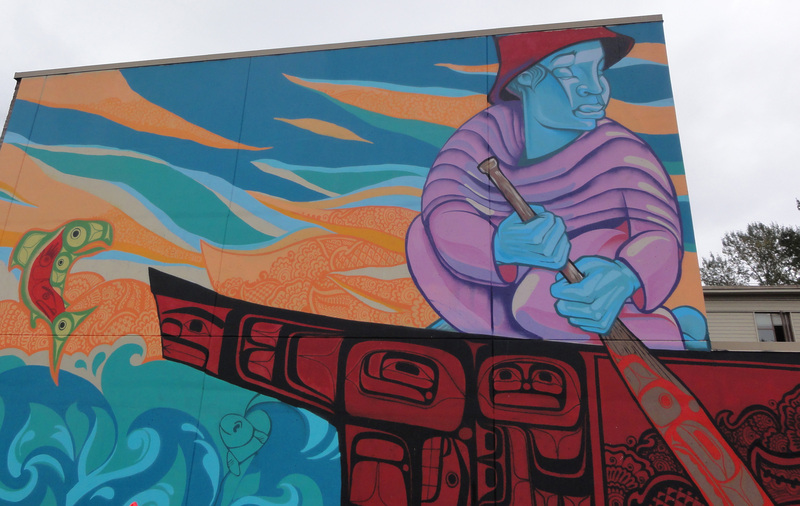 North Vancouver is home to over 100 public works of art spread across the North Shore. Public art can be found in libraries, along nature trails and public walkways, in parks and shopping plazas. Each piece is an original, one-of-a-kind work that is specifically created to reflect and express North Vancouver's local heritage, culture and environment. 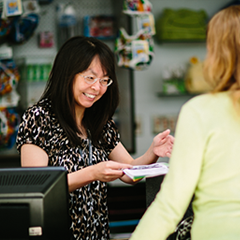 Enjoy this video produced by the Vancouver North Shore Tourism Association. Site Memories: Murmuring Crows by artist Ingrid Kiovukangus creates a connection from the past to the present, from the natural world to the industrial, from the world of site memories to the present day. The crows and corresponding text that are sand blasted onto boulders along the Spirit Trail share Crow mythology evoke memories of an historic ship called the Benjamin Sewall. The Benjamin Sewall was one of the last of the tall ships to load first growth timbers from Moodyville Mills. Her story is stamped directly into the asphalt as part of the art work. An aluminum crow is installed on one of the three Douglas Fir trees that make up the art work.The trees represent the centre mast of the Benjamin Sewall where a crows nest would have been located. The Word to Your Motherland mural transformed a large exterior wall at a North Vancouver homeless shelter in the City of North Vancouver. Lead by Creativa International, a Vancouver based not-for-profit arts organization, Word to Your Mothlerland is a collaboration between California based artists Nisha K. Sembi and Miguel “Bounce” Perez and local artists Corey Bulpitt and Take5, with support from residents of the North Shore Lookout Shelter and local youth. Additional support was received from NVRC's Community Public Art program, the City of North Vancouver, Neptune Shipping, and H.A.V.E. Culinary Training Society. The Word to Your Motherland mural affirms the capacity of the arts to bring people together not only from different cultural backgrounds, but economic, international, and experiential backgrounds and to build bridges of respect and understanding.